Despite their emergence in the Georgian and Victorian periods, vertical sliding windows can be seen on millions of UK homes today. Alternative names for them include sash windows, box sash windows or sliding sash windows. Timeless visual appeal with an updated performance for exceptional windows for St Albans, Hertfordshire & North London homes. Known as such for a sash that slides up to open and down again to close, vertical sliders are styled in a classical way. Because of this reason, they never go out of fashion, meaning homes of any size, style and age can benefit from their timeless visual appeal. 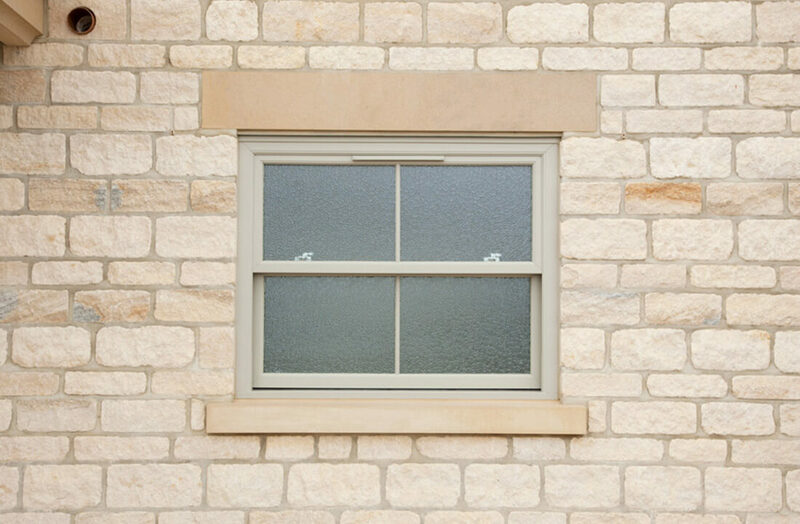 For those after a truly authentic sash window, Budget Windows provides them in timber, which is the material originally used to construct them. However, their performance has been significantly improved to meet the demands of the modern homeowner. Alternatively, uPVC vertical sliders are also available, which require less maintenance than timber variants. Although, they still retain the same beautiful styling. Unlike traditional variants, the opening mechanism of our vertical sliding windows will not stick or rattle. Instead, they’ll slide open effortlessly and quietly and when they’re closed they’ll keep the weather and any draughts firmly out of your home. The latest in thermal and security technology ensuring your Hertfordshire home is incredibly comfortable and secure. Our uPVC sliders are fitted with authentic Georgian bars and energy efficient glazing, ensuring the costs to heat your home will be significantly reduced. In terms of security, they can have either key or traditional locks, both of which are highly secure. 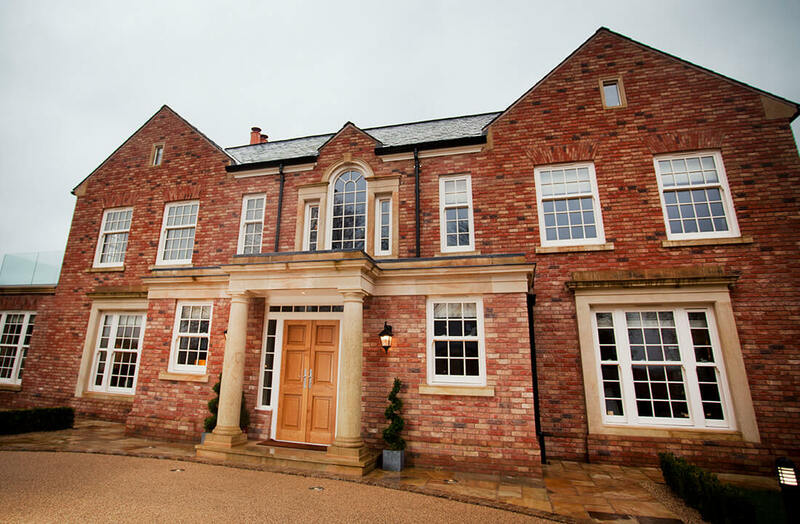 Conversely, our timber sash windows feature argon gas filled glazing with a warm spacer bar so they achieve U-Values of 1.1 W/m2k, an incredible thermal performance. They have also been internally glazed for security and come with the option of window restrictors, which are a great addition for windows located in areas where children’s safety might be at risk. 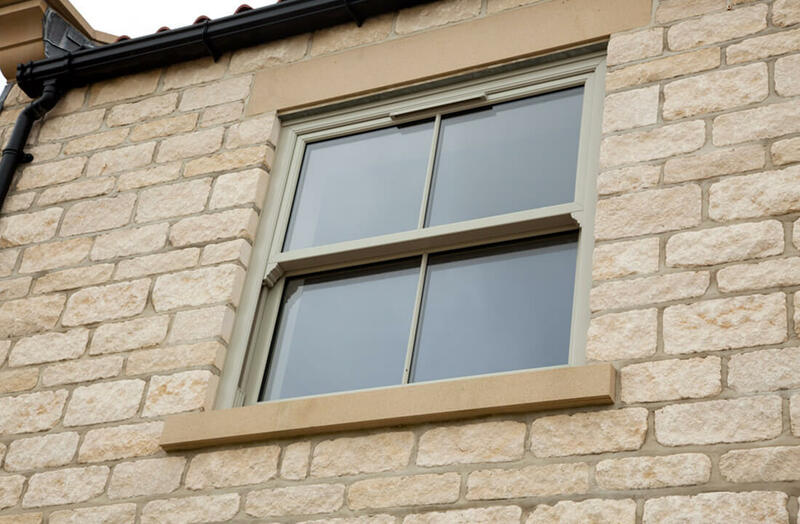 Regardless of whether uPVC or timber is the right material for you, we’ve got plenty of colour finishes for both types of our vertical sliding windows. For this reason, we’ve got no doubt that we have a shade to suit you. Any timber variants can be painted in any RAL or Farrow and Ball colour, providing you with thousands of different colours from which to choose. No matter the age and look of your home, there’s certainly a colour option in our selection to fit it. Dual colour options are also available. A window with dual colours will have a different colour for the internal and external areas of the window. Opting for this choice will allow you to blend the appearance of your window to both the inside and outside of your property. 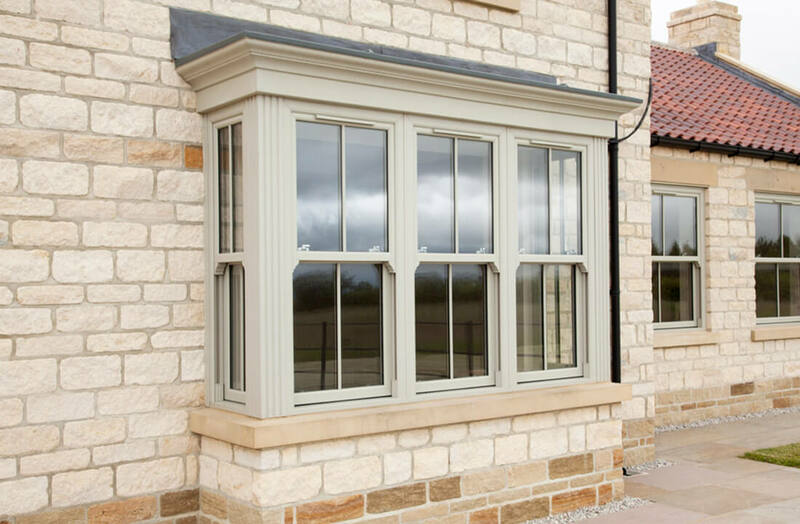 Our timber versions are available with either double or triple glazing, although the practical features of our double glazing is likely to suit the requirements of most homeowners. 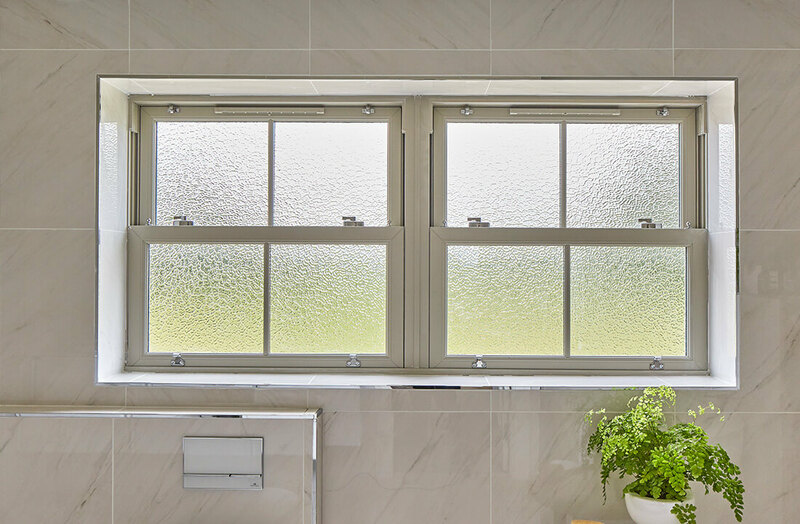 If you’re after that extra boost to performance, however, triple glazing is ideal. Triple glazing offers enhanced levels of insulation over double, meaning it provides further reductions to your energy bills and ensures for a quieter living space. Because three panes of glass are more difficult to smash than two, triple glazing adds an extra layer of security too. We can also fit these windows with acoustic glass. Acoustic glass reduces external noise meaning they’re great in busy areas. If you’re looking for an additional boost to security, laminated and toughened safety glass are also available for fitting. It’s important to be able to change the subtle features on a window. It’s the little subtleties that ensure the window feels tailor-made to you. With this in mind, we offer a range of customisable hardware for that bespoke feel. Both our timber and uPVC vertical sliders come with a selection of additional hardware. This includes trickle vents, which can provide your home with a means to ventilate your home without opening the window. 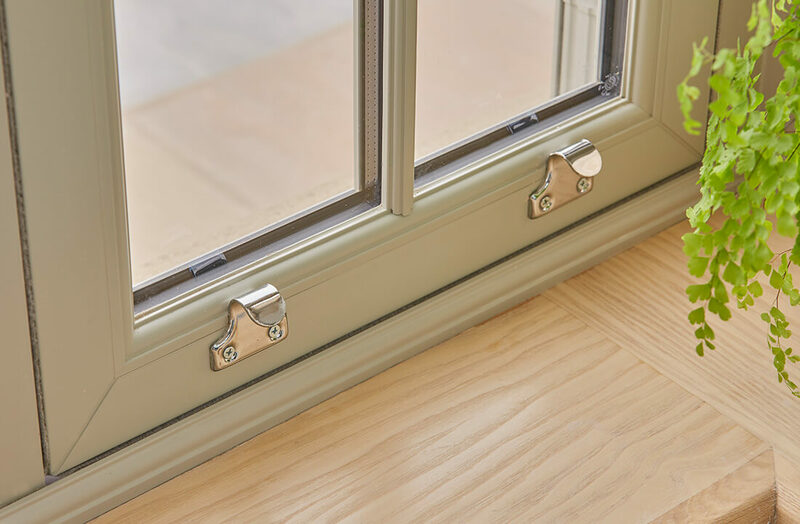 Additionally, there are bay corner posts and trims, fixing lugs, egress options and a variety of other hardware, allowing you to achieve an increasingly authentic sash window appearance or alter their function so it is more in-line with your specific requirements.